What Can I Be When I Grow Up? Do I look like a nurse in my bikini? I’m the one on the far right in the bikini. Not even sure it was a bikini, it was a two piece bathing suit. But that’s not the topic of this post. 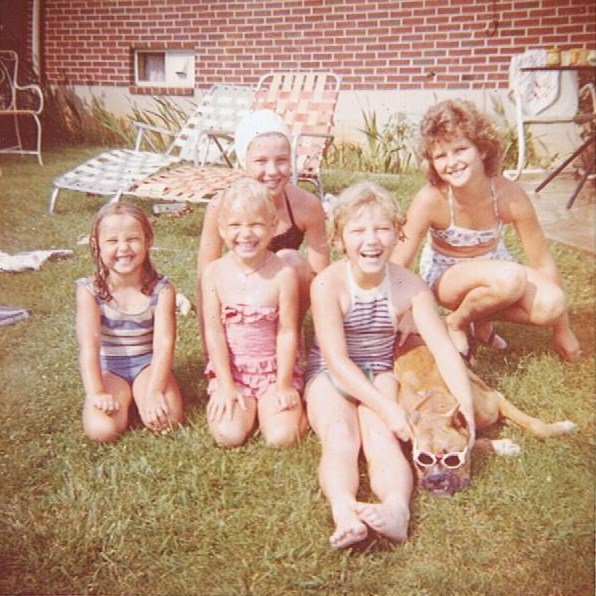 I loved my friends and the lazy summer days spent in our pool. We didn’t have a care in the world. As you can see my friends had a dog. I wanted a dog too. A poodle..a toy poodle. My parents said they couldn’t afford it and if I could somehow find the money I could have one. I think they said that knowing full well I couldn’t possibly find the money. I was the oldest in the neighborhood and was also kind of bossy. So I told all the kids they needed to give me money so I could buy a poodle and you know what…they did. And their parents didn’t even seem to care. I got my poodle too as you can see in the picture on the right of The Helpful Hellion. I was such a little entrepreneur. It was around this time in my life that I decided I wanted to be was a nurse. Mom’s best friend across the street was a nurse and I for some reason thought that sounded like something I should do too.. My Aunt Norma was also a nurse and she was awesome. So that was it…I was going to be a nurse. Every time I went to the doctor’s office all I would do was watch the nurses in their starched white uniforms and little caps go about their business and think someday that will be me. That was the plan until I turned 13. I was going to be a nurse. However my teenage angst and thoughts of far away places changed all of that. Far away as in getting out of the house and moving somewhere exotic and doing something artistic. Since I didn’t have much artistic talent that anyone could see, even me…I decided I was going to be a writer. I was going to write and live in Paris. Yeah, I know…but it was the 60’s and people were doing all kinds of crazy things. So that was it then at 13, I decided to move to Paris as soon as I graduated and write. I started right away, every day when I got home from school I wrote. I was writing the next “Great American Novel.” I called it, “I Walk Alone.” It was about a woman living alone in of all places Paris. I still have it somewhere around here. I kept the writing thing going and really worked hard in English class until around the age of 15. After that, what I was going to be wasn’t as important as all the cute boys I had started being attracted to. When I got pregnant and married at almost 16, my future was decided for me. I was going to be…a Mom. Having 3 children by the age of 21 didn’t allow much time for anything else. I was a stay at home Mom and I loved it. I guess it was around that time I started working outside the house a few hours to give me some spending money of my own and a chance to get out of the house a bit. I continued working a few part time retail jobs while the kids were growing up and enjoyed the interaction and loved the retail environment. I loved clothes and shoes and I got a discount and money to spend. I got divorced at age 27 and went to work full time. This time it wasn’t so much a choice of what exciting thing I wanted to do, it was what can I do that I can make the most money and be there for the kids. I got a waitress job and was home by 3 when the kids got home. I made good money and had benefits. So it worked well for all of us. I am not going to list all the jobs I’ve had over the course of my years because it would take forever. Let me just say, I had more that 20. I have also lost a good majority of those jobs due to a changing work environment. One where companies get bought out or close and people lose their jobs unexpectedly. I had several that I really loved and with no warning whatsoever the company just left all of us go. Early in my 40’s I grew tired of working for other people and decided I want to have my own business. So I thought, what was it that I loved and had always wanted to do? The answer wasn’t hard to come upon as I for a number of years had wanted to have my own clothing store. Once I decided this was what I wanted to do it didn’t take long for everything to fall into place. One day at work I was looking in the newspaper and saw a local boutique downtown was for sale and couldn’t believe my eyes. I loved this store. As soon as I got off work I went there to talk to the owner. A few days later I put a business plan together and presented it to the local bank. They accepted it and gave me the money to buy the business. All this occurred within the span of a few weeks unbelievably. The day the previous owner turned over the keys I stood in the middle of the store…my store and thought to myself….this is mine. This is what I have always wanted. I am living my dream. Me.. in my store…living my dream. My dream lasted for a little over 4 years. I loved owning that store, the buying trips, merchandising all the clothing and accessories and helping women look good. Both of my daughters worked there with me and it was fun. I couldn’t see myself ever doing anything else. Sadly, the climate of the downtown changed and in 1990 when the recession hit, it hit 20 stores plus mine. I had to close my store and lock the door for the final time. It is hard coming back after that. What do you do when you have your dream? Where do you go from there? Being in the downtown area I got to know people in the community and was offered several jobs, thank goodness. I appreciated every single offer and worked hard over the next few decades. I thought I had found another dream job about 7 years ago in the jewelry business. 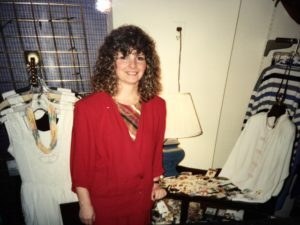 I was merchandising and traveling to stores all over the place. I loved it. Again it wasn’t to be and I was left go. While working at a few of the jobs I have had over the last decade I had also decided to keep my one part time job as a vendor of a large cosmetic/perfume company. I kept it due to the money, the people I worked for and with and basically being able to make my own schedule. 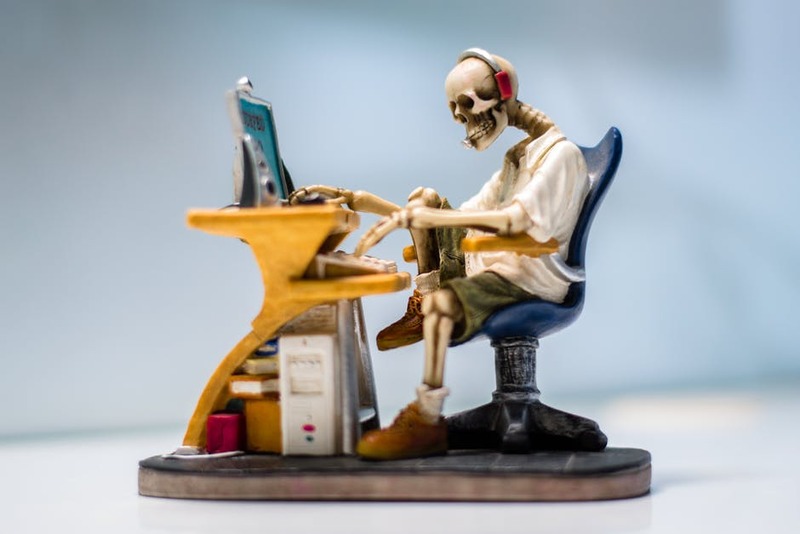 Well as of 2 weeks ago that job has now also gone the direction of so many others I have had due to a recent buyout and reorganization…so here I am at 67 looking for a job. I know you’re asking yourself, why is she looking for work at 67?..well, I enjoy getting out of the house and being with people…I enjoy working at a job I love and doing it well. I like the satisfaction of a job well done and feeling like I am still able to accomplish something even at my age. I am asking myself once again…what is it you always wanted to do and haven’t done that yet? Anyone that follows this blog knows I love to write and started doing that when I lost the jewelry job. I do love it and I am not planning to stop. I don’t make any money doing this and keeping a big old house going takes a bit of money. I have had so many jobs I loved and would go back to them…if they were still there to go back to. People keep saying to me, “oh, don’t worry, when one door closes another opens”… I have had so many doors close on me I think I will have to hire a locksmith this time. At this point in my life I want to be happy and want to do something I love doing. I also would like to make a difference in some way. So here I am asking myself, “what do you want to be when you grow up?” And I honestly don’t know the answer this time. So here is the question of the day..What do you want to be when you grow up? I asked my grand daughter this questions today and she said… “a park ranger.” Sounds good to me.